Do you need some custom logo or custom printing sherpa fleece blankets throws to advertise your brands, say thanks to your clients, or promote your business? 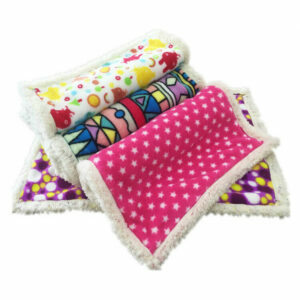 Are you looking for a reliable custom sherpa blanket manufacturer to make it? Details about Our Service: Zengbo fleece blanket factory provides custom fleece blankets bulk production service for global customers. Plush sherpa blankets we offered have been popular in the USA, Canada, UK, Denmark, Poland, Ukraine, Russia, Australia, and more countries. 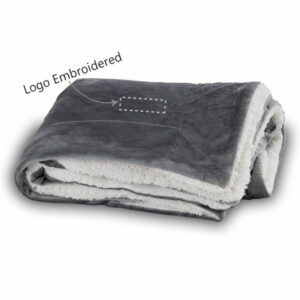 Main personalized sherpa blanket types: solid color, high-tech digital printed, logo embroidered sherpa throw. 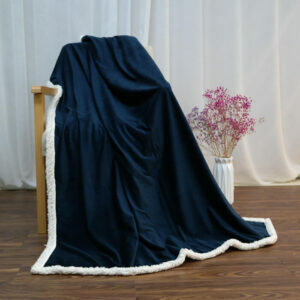 Available sherpa throw/blanket styles: sherpa lined blanket, reversible double layer sided blanket, embroidered sherpa blanket, and other custom made styles. Available colors: white, purple, brown, pink, black, blue, yellow, green, gray, orange, dark, red, light pink, rose red, camel, coffee, and so on. Available printed pattern: flower, animal, flag, cartoon, scenery, food, photo, building, alphabet, painting, character, plaid pattern, etc. Available fleece blanket/ throw sizes(cm): 130X150 cm, 140X180 cm, 150X200 cm, and more custom size. Suitable for both baby and adults. Price: We have our own blanket factory, so we can give clients the quite competitive and affordable factory direct price. Quality guarantee. Except for the quality raw materials from reliable vendors, our testing laboratory will carefully check the sherpa blankets on fabric strength, color fastness, and other parameters in the sherpa fleece blanket production process. Dear Friends, If you’d want to know more about our personalized sherpa blankets wholesale service, please feel free to let us know! We’re on GMT +8 and reply to all emails within 12 hours.